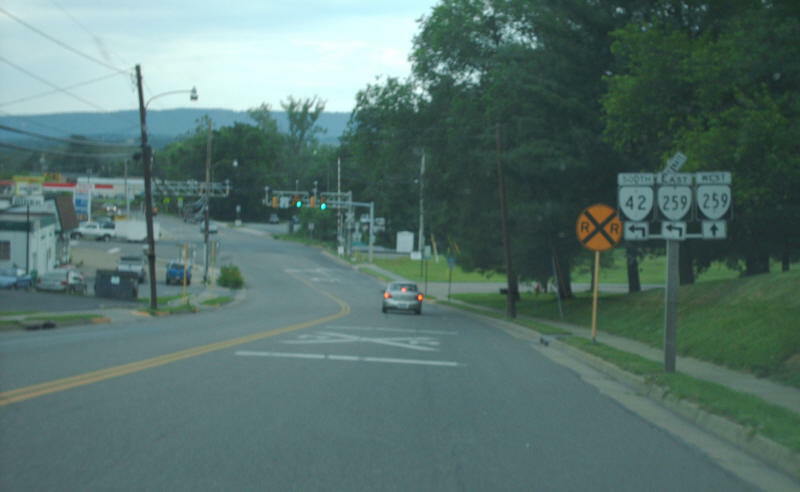 ALT VA 259 forms a loop off of VA 259 through downtown Broadway. 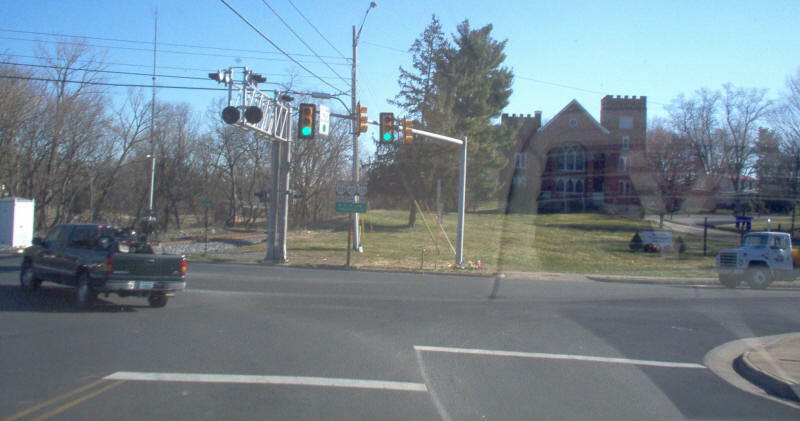 This is the western terminus as seen from westbound VA 259, where ALT VA 259 begins while duplexed with VA 42. Photo by Mapmikey. Approaching VA 259 ALT from VA 42-259. Photo by Mapmikey, taken June 20, 2008. This is the view from ALT VA 259/VA 42. 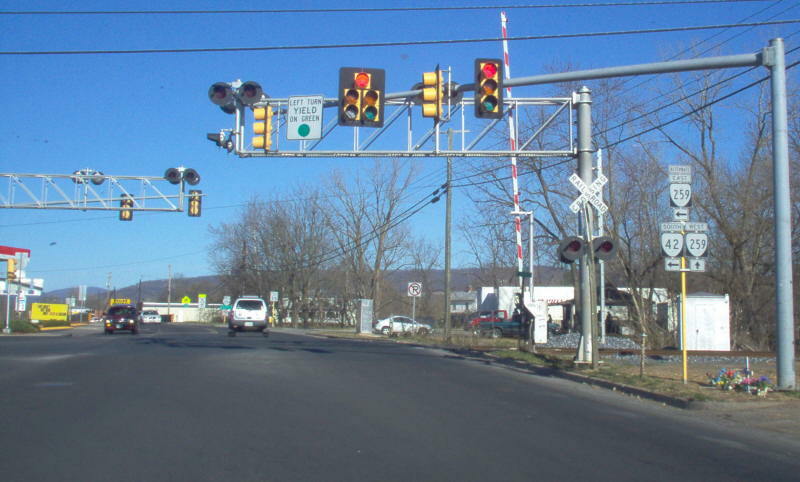 A rail line skirts the western edge of the intersection. Photo by Mapmikey. Bad sun-angle view from eastbound VA 259. Photo by Mapmikey. Eastbound VA 259 at the eastern terminus of its Alternate route. Photo by Mapmikey.